Warning : Spoiler Alert for the TV Series Westworld 2016. OMG ! Did you see what I saw ?! In Episode 6 – The Adversary ? Bernard heads down to Level 82 to further investigate the GPS coordinates of the estranged (stray) host. Leading into the darkness of the security level, his light beams across the forgotten past of so long ago. Inadvertently, his four-pack flashlight beams onto a past android model, which ( if you saw the 1973 movie) resembles the form of the original MiB, Yul Brenner. It’s slight and so cleverly done, it quickly imposes the idea of the old robot played by the famous Yul Brenner. As a writer I would love to see the teleplay of each episode of Westworld. Creators Jonathan Nolan and Lisa Joy are spot on, leading us viewers deep down into one of the most science-fiction thrillers in a long time. I mean, I’m hooked ! We’re only into the 6th episode and it’s blown away my expectations. So far, the TV Series offers an exemplary storyline, edging us forward into a deeper maze of wondrous exhilaration. I’m sure Michael Crichton would be impressed by the remake of his 1976 film. Truly, we’re into the WOW factor! The fact, Johnathan Nolan took Westworld one step further, releasing an interactive role game version, where guests play out their desires and fantasies, is in itself a cool adaptation from the original film. AND the cast members – whoa! A well thought out execution of brilliant actors, from my favourite @Anthony Hopkins to Jeffery Wright (@jfreewright) Ed Harris @evanrachelwood @jimmisimpson @benbarnes @thandienewton @AngelaSarafyan @shannonwoodward @Louis_Herthum, James Marsden, Luke Hemsworth (@Hemsdog), Sidse Babett Knudsen and list goes on ! The direction of each role carries the storyline forward with drama and suspense. Suspenseful when Elsie Hughes ( played by talented Shannon Woodward) digs up hidden clues and becomes abducted by (I believe) Arnold. Before taken, she warns Bernard that his lover, Theresa Cullen (the parks terse operations leader) may be responsible for smuggling out data from the uplink hardware. Dr Ford’s partner who supposedly died over 34 years ago, is continuously mentioned throughout the story. To me, it appears he’s going to make his entrance in Episode 7. Well ? That’s my conjecture anyway. It’s also revealed Dr Ford has an old family of hosts, completely out of circulation, specifically for Dr Ford’s enjoyment. Bernard’s previous investigation lead him to a home setting in the far area of the park, discovering Dr Ford’s secret. Surprisingly to Bernard, he has no control over these older host models. Strictly operated by the whim of Dr. Ford. Bernard is deeply concerned for his mentor and friend. The plot surely is stirring thicker and thicker, into a bloody evil of darkness and despair 😩. Oh ! We can’t forget about madam Maeve either (played by the wonderful actress, @thandienewton), who has now achieved awareness beyond the fantasy of Westworld Park. She cleverly entices worker Felix, to help her achieve a smarter program and explore the real world outside Westworld. At first, Maeve is taken back by the fact she’s nothing more then an android, programmed by a set of linear programs. But with her new upgrade (increasing her robotics intelligence), it will be very interesting to see where she goes from here. Join my Westworld Gamer Manual – a fun interactive fan based manual for all gamers looking for clues into the new TV Series Westworld by HBO. Sure enjoying the well written story of Westworld – join me on Twitter. By Bari Demers – screenwriter and freelance writer. Here’s my screenwriter’s perception outlined with the main characters on Westworld. Today’s blog is about, who I think, Dr Robert Ford is. Dr Ford is the best in the west! (pun intended). And there’s the key. He’s a very calculated precise human, or shall I presume to say, Dr. Robert Ford is too human. We know in the chronological timeline, according to the interactive dialogue between Delores and Dr Ford. Dr Ford goes on to say that nothing has become of those instructions, pointing out Delores has been content with her “loop” for the last 34 years. Delores program picks up on this. At this point, it looks like Dr Ford wipes a tear from his eye, gets up and leaves, before anyone can see his emotion. Dr Ford and Delores are the only ones who knows anything about their secret past life. Delores is as old as Dr Ford, with both being there from the very beginning . Delores is being guided by someone else or some thing. To me it appears, it’s possible, Dr Robert Ford is a prototype designed by robotics scientists, Arnold. In essence, Arnold is Dr Ford’s protégé, who crafted a specialized android from the very beginning. It’s known from past episodes, Arnold was an eccentric brilliant robotics (way ahead of his time) engineer who would closely resemble the behaviour of mogul pioneer Howard Hughes. Arnold would alienate himself from the public, in order to produce a robotic humanoid unlike any other robot he’s ever made before. His task was to make an android who could appear and act in every way a human can. You might say he’s a step up from what Delores was. In the beginning androids were sloppy mechanical beasts with a set program. Arnold wanted something more, but he knew it couldn’t do it by himself. He needed an advanced android, a prototype capable of thinking as android’s do. Essentially, the android would help him rebuild the sloppy mechanical beasts, using a linear thought, only another android could possibly do. To think of it in another way, consider how we have automated robots who can only make a precise computer chip. Humans aren’t as capable as a robot is. BUT – Before the recreational park, Westworld was about to open, Arnold didn’t calculate in his equation, his prototype android would think of his creator as inferior. The creator was imperfect or humanly flawed. Over 35 years ago, just as Arnold was ready to open the Westworld Park, a terrible thing happened. Like a restaurant, the park opened as a “dry-run” inviting esteemed guests, such as the MiB. A small group of VIP rich guests and investors came to experience this recreational park for the first time. During this opening event, Arnold introduced his prototype android as his partner, Dr Ford. As far as the MiB was concerned, Dr Ford was indeed his partner. Unknown to Arnold, Dr Ford had programmed the robots to revolt and kill the invited guests, including Arnold. Remember, Dr Ford thought of his protégé, Arnold as inferior. In the end, I believe the opening of Westworld didn’t go as planned, as hosts killed off their guests. And this is where the MiB comes in. He saved other guests from the chaos, but failed to save Arnold, himself. But there was still hope for the MiB, because Arnold’s body was never found. And since that time, almost 35 years ago, the MiB’s quest has been to search for evidence of Arnold, through what he believes to be the underworld known as The MAZE. The maze where Arnold may be located. Unknown to the MiB, he still doesn’t realize Dr Ford is an android yet, but he does wonder. This was proven in the dialogue interactions of Dr Ford, the MiB and Teddy. As the MiB takes out his long knife about to find the answers within the belly of Dr Ford, his loyal pet,Teddy grabs the knife with his bare hands. He stops the MiB from getting close to Dr Ford and most possible finding answers to the TRUTH. Is Dr Robert Ford a creation by Arnold ? And, if so, is Delores being guided by Arnold after all ? Remember Programmer, Elsie Hughes ? It appears her paranoia has paid off. She finds a laser based satellite uplink component in the arm of the last host, thinking of possible spies. Maybe it’s the creativity of Arnold and his backup plan to destroy what he created. Join me in the quest of finding the answers to Westworld in my gamers manual of Westworld – updated after each episode to reveal new clues. And, if you have any clues , please share it with us here. We loved to hear your theory too. My next Analogy will be the MiB Theory – follow me here for updates. BTW – Sir Anthony Hopkins is such an awesome actor! NOTE : Because I’m Canadian, my IP Address will NOT allow us to see any clues from HBO WESTWORLD website known as DiscoverWorld. We kept getting rerouted to the HBO Canadian website, that pretty much has absolutely nothing. So, if you YOU live in USA 🇺🇸 let us know what clues are given out on this website since Canadians and the rest of the world are banned from. Read more about it HERE. Pretty annoying really. Following up from my last theory regarding Dr Robert Ford of Westworld I approached a scene interaction with the MiB and Dr Ford towards the end. Please have a look at it HERE. Otherwise I will assumed you have read it. Carrying on with the MiB ( Man-in-Black) on Westworld, I wanted to give some key points and clues in regards to the MiB. From my previous discussions on the MiB, we can already conclude the MiB is NOT William from the past. We are going to go on the linear theory where the MiB is the oldest gamer, since Westworld opened over 34 years ago. We also understand the MiB is looking for the TRUTH within the MAZE. The maze is the centre of the truth revealing the whole game. But the truth we seek, may lead us into a more darker path of evil. Interesting, we now know, the MiB saved the park from some disaster where Arnold had died, over 34 years ago. The MiB had also started a Foundation for, (I believe) his daughter. We now know his foundation is popular in the real world as we learn from a couple of fans who approached him, trying to compliment the foundation for saving one of the fans sister. It’s been speculated the Foundation could possibly be related to Westworld somehow, and just maybe his Foundation offers a cure for loved ones sure to die ( perhaps by a deadly disease) by inadvertently giving their loved ones a new body, with their consciousness in tact. In fact, they’re suggesting the MiB is providing a copy of their loved ones by the use of the 3D printer you see in the beginning teaser of the show. In order for this to be true, it would mean the MiB, Dr Ford and Arnold worked together, from the very beginning. Also, with the MiB saving the park from disaster, there’s a clue here, where we are lead to believe it’s Arnold’s fault. Apparently he wanted to destroy the park before it started, but I’m sure we are lead down the wrong path. Again, if you read my last blog you’ll realize, it’s possible Dr Robert Ford is Arnold’s prototype android. Whatever may be the case, we are surely being lead down the rabbit’s hole by Alice in Wonderland. The dark path of illusions, misconceptions and deceit, mixed with an artificial consciousness deep within the androids, could lead to certain chaos. Westworld – Purgatorio To Hell? Westworld Worldly quirks are indeed beginning to take a turning point with Episode 5. It begins with Dr Robert Ford (played by esteem actor, Sir Anthony Hopkins ) telling a story about his childhood greyhound pet (who after years of chasing a piece of felt on a stick) was set free from his collar, only to chase down a stray cat and kill it in the most horrific way. We can relate this scene as a metaphor, setting us up with our relationship to Delores, (the oldest robotics host) whose been caught in a continuous loop, outlined by her program. It’s apparent Delores will finally breakout of her loop, inadvertently reprogrammed by an outside source. We are lead to believe, this outside source appears to point to Arnold, (past partner of Dr Ford) who unfortunately died in the park, over 34 years ago. It’s the exact same source, triggering the MiB ( Man in Black) to search for the maze. It’s clear, Delores and the MiB will both find their freedom when they reach the end of the maze. In fact, you could say they’re on a mission to find the truth. BUT – Dr Ford is not amused 😒. You get this impression, even though Dr Ford appears to be seemingly at ease with complete control over his world ( Westworld) on the outside, it appears underneath, there’s an increasingly disturbed feeling, stirring within him. We get this impression, it’s quite possible, Dr Ford is hiding something and trying with all his might to prevent the past from revealing itself. His arrogance of power is truly evident. Is Dr Ford concerned of what might happen if the truth gets out? Will the same thing happen to the humanoid robots, getting loose and finally taking revenge on its guests, in the most horrific way? Of course, these are assumptions, and we can’t really say where the writers are taking us, only that we’re intrigued by this most amazing adventure of Westworld. In Scene Two, I would like to point out where Delores is, in the middle of a graveyard. Does it have any significance to the rest of the story ? Was the close-up scene of the countless bells resting on the rows of wood crosses, a small teaser of things to come? Did you know the reason behind the bells tied to the crosses? In the earlier days of the Wild West, it was a possibility to mistakenly pronounce someone dead and bury them in haste, when in fact they weren’t. So in lieu of this mistake, they use to place small crafted metal or ceramic bells on the crosses, with a string ( or chain) attached to each bell, leading down inside the coffin of the presumed dead. This way, if the person inside the coffin came back to life, they still had that last chance to grab that chain (attached to the bell) and ring it to warn others, that they had just been buried alive. Whoa! Can you imagine being buried alive by mistake?! While Delores is standing in the middle of this grave, she hears a whispering voice, that says,” Find me!” She closes her eyes saying,” Show me how?” A whirlwind of images come to light, but quickly she’s broken out of the trace by where she is. It’s certain Delores is following her loop pattern( to a point), but at the same time, is secretly seeking out answers to the questions. She hasn’t completely trusted William, as of yet. This scene is directed victoriously by (I’m assuming) a women’s touch (possibly written by Lisa Joy herself ) as Delores expresses herself to William. On that note I think Executives Producers Jonathan Nolan, his wife Lisa Joy and J. J. Abrams must be ecstatic with the growing success of the new Westworld. It may of just been coincidence, but the interaction of actors Jimmi Simpson ( playing William) and Evan Rachel Wood (playing Dolores) have both hit it, right on the mark. You can feel the chemistry as it happens. This indeed is good acting! As soon as Delores and William take on this most powerful scene, suddenly all hell breaks loose. William thankfully leaves Logan to fend for himself, taking off with the beautiful Delores. Interesting, our rising star, Elsie Hughes (Westworld’s Programmer) determination has finally paid off. She finds a laser based satellite uplink component in the arm of the last host who attacked her( in the pervious episode). It appears her paranoia is warranted after all, and further investigation by her and Bernard will most probably happen in Episode 6. Earlier it’s probable, Delores may have found the same components in her arm, but we aren’t sure if it was a dream or reality. Teddy interrupts by saying they’re looking for a man named Wyatt. As the MiB takes out his long knife about to find the answers within the belly of Dr Ford, his loyal pet,Teddy grabs the knife with his bare hands. This simply move makes me wonder if Dr Ford is indeed human after all ? Just maybe he too is an android. An interesting concept to plunder about, as we keep watching Westworld. Let’s note here : This scene is why some viewers think William and the MiB may so happen be the same person. The timeline is obviously mixed, to confuse us, but did William turn into the MiB over time ? William originally entered Westworld with a “white hat” with the impression to add the good back into humanity. I get this idea, the real world (outside the park) has turned into this most evil place. Don’t you think actor Ed Harris makes the prefect MiB? Whoa! Nice way to end episode 5. The cast, the director and producers have certainly worked hard to make Westworld the most intriguing science fiction thriller TV series, ever! You can tell each actor was carefully picked to create such an awesome story. Checkout for more clues. BTW – I still think Westworld is on a world all by itself and hopefully in the next season, we just may find ourselves on another planet with a new amusement park…let’s say Roman world ? Also, the meaning of Contrapasso relates to the punishment of souls in Dante’s Inferno, referring to Purgatorio. Isn’t that amazing ! Pay close attention to the headings. They too provide some interesting clues. Is Westworld Purgatory? HBO’s WESTWORLD is increasingly curious with fan’s rampant speculation throughout social media. The script is well written, leaving subtle hints or clues. This is exactly what Westworld Director Jonathan Nolan wants to hear from his fans. Did you know the writing team is a family affair? Johnathan’s brother, Chris is writing, as well is his wife, Lisa Joy. Chris also help write Interstellar ( which I may add, a part of the movie was filmed in Alberta Canada) and The Dark Knight. Is reality just a vivid imagination? Are we in a program clearly stated in the Matrix Trilogy films. Will we be able to control Androids or humanoid robots? This question was raised in both movies, I Robot and back to the original film, Westworld in 1973. In the future, will humans be able to upload our consciousness or transplant our existing brain into a Android Skeleton body, without the fear of dying ? This is a possible invention for our future, where MAN can live inside a Android Skeleton body after his organic body fails. What will be the political outcome of future robots and will they have the Freedom of Rights, we humans so dearly hang on to? Will Robots revolt and take revenge on humans? It’s a possibility. Can robots take over the world, like in the Terminator films? All of these are valid questions in our real world, but what about the growing fanbased questions and concerns in the HBO WESTWORLD TV Series? We assume the timelines are relatively in sequence, but we find the timelines could be the past or future. (At this point in time, it’s hard to distinguish). We can see hosts Maave and Delores are now questioning their existence. It’s assumed they will soon FREE themselves from the game all together. (How will character’s Maave and Delores push past the fact they’re robots. It will indeed be interesting to see the outcome). We are lead to believe the WESTWORLD Park is far away from everything else. You could even come to the conclusion they are on another world. (Character Bernard talks to his wife as if transmission could be light years away). Character Elsie Hughes ( a Programmer working closely with Bernard). She appears to me as witty and determined. As a clever girl, she won’t take no for an answer. She’s very concerned with the abnormal behaviour of the HOSTS, coming across a serious problem with a stray host (robot) who attacks her defence personnel, character Ashley Stubbs, head of security. Before their attack by the stray host, Ashley points out the sketched markings to Elsie( left behind in camp by the host) are possible from the belt of the Orion constellation, which is located on the celestial equator. This last piece could be mean something. If you discover the Orion constellation you will realize the rectangular shaped constellation consists of four stars —Rigel, Betelgeuse, Bellatrix and Saiph. The three stars (approximately in the middle) of Orion’s Belt—Alnitak, Alnilam and Mintaka. So – what does this mean ? Is it a quest for another planet ? Can WESTWORLD be located on different planets throughout our the Milky Way Galaxy? In the original WESTWORLD ( 1973 film) there were Three THEME PARKS. Is it possible Westworld is on one planet and Medieval World, along with the Roman World ( showcasing the ancient Roman city of Pompeii) will be on their very own planets? BUT – it’s also mentioned the sketch of Orion is incorrect due to there’s four points along Orion’s Belt, instead of three. Now this interests me too, because if you follow past Orion’s Belt, it will lead you to a fourth star named Sirius. This immediately leads into my screenplay BLACK ANGELS. Of course, it’s impossible to believe Jonathan Nolan knows anything about my screenplay. It’s my belief, in the Westworld’s first season the MiB ( Man in Black) will eventually find the route of the maze, he so desperately needs. It’s obvious the MiB is an experienced Gamer ( I have calculated with 30 years of experience he’s spent approximately $7 million throughout the years). We now know his foundation is well known in the real world as a couple of fans approached him, trying to compliment the foundation for saving one of the fans sister. Surprisingly, MiB is NOT impressed with the fans and basically tells them so in a harsh dialogue,”This is my f—ing vacation,” going on by threaten them, saying he would cut their throats. Apparently he doesn’t want anyone interfering with his game. It’s also suggested, MiB could have an insider who’s helping him to achieve his goals. In essence, there’s already a growing group of viewers suggestions stating the “Men in Black Theory”. It will be interesting to see the outcome of the MiB. It’s possible an INSIDER of the Park is responsible for changing the robots goals, giving them their own consciousness. Could it be the illusive Arnold who (according to Dr Ford) is suppose to be dead? In case your not up on Arnold, he was a partners with Dr Ford (in the beginning ) creating Westworld. It appears (according to Dr Ford) Arnold became to emotionally close to his creations, as Dr Ford only relates the robots, simply as a tool or machine. We all know Dr Ford is extremely powerful in making the final decisions and warning others not to stand in his way. And finally, who’s this Wyatt? Is Wyatt the final goal to the puzzle? Is Wyatt somehow related to Arnold? Will the MiB gets his answers once he meets up with Wyatt. Surprisingly enough, it’s Dr Ford who uploaded a new program about Wyatt into Teddy’s collective circuitry head of his. Poor, poor Teddy Flood, the host who’s always in pursuit of Delores. Unfortunately he will never get his girl and always ends up either dead or prey lose to death. This being said, will Teddy one day get his revenge? The first season of HBO’s Westworld is going pretty strong and hopefully it will continue. Not like it’s counterpart, Beyond Westworld ( in 1980) who’s short-lived TV series was supposed to follow by the two great films, Westworld and Futureworld in 1976. Unfortunately for Beyond Westworld, it only lasted five episodes. Im excited for the new HBO’s Westworld and I dearly hope it doesn’t have the same fate. 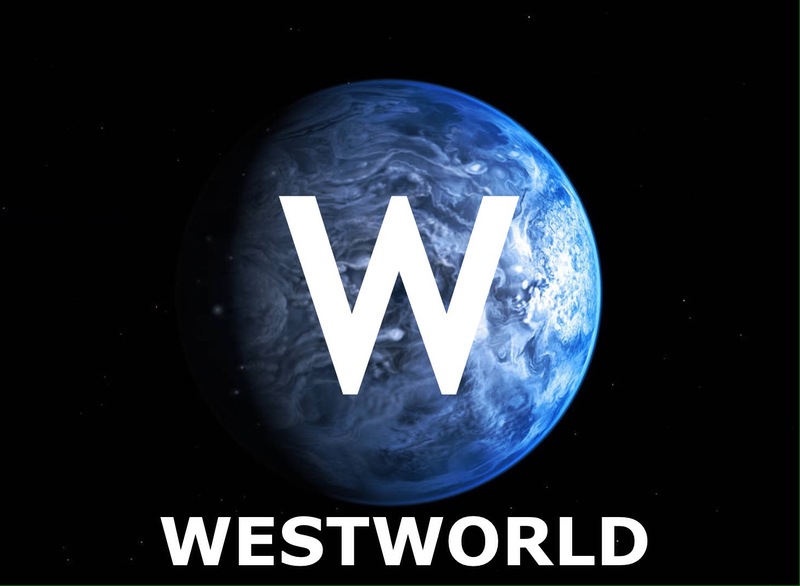 As we are headed into the five episode, it’s obvious we have surpass its counterpart Beyond Westworld. The new HBO Westworld is certainly going places and I’m so happy for that, as most science-fiction films don’t usually have a good record in the film industry. But with Star Wars, Star Trek, Aliens Trilogy, the Marvel’s Guardians of the Galaxy, Captain American and The Martian film, just maybe with the new millennials generation, there’s finally a new hope and drive towards SCIFI. One day I hope to see BLACK ANGELS as the next blockbuster science-fiction film.